What a night it was too ….! Business Women Awards announced the 2014 winners at the Lighthouse Poole on 11th June. 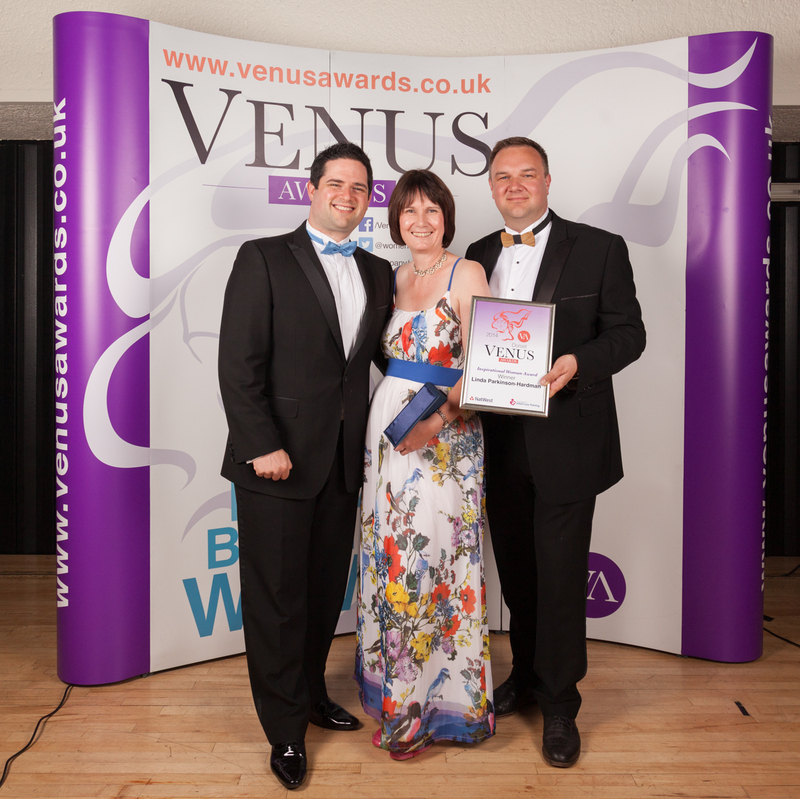 Hosted by Dan Mills from Heart and Tara Howard, Venus Awards Founder. Linda Parkinson-Hardman from The Hysterectomy Association won the Dorset 2014 NatWest Venus Awards in Category The Foundations for infant Loss Training Inspirational Woman Award. The NatWest Venus Awards Dorset Ceremony in association with Breeze Volkswagen was held on the 11th June – Hosted at the state of the art Lighthouse. and support to women facing a hysterectomy. It now supports almost 2,000,000 women every year.